Scotland's National Museum of Flight takes place at East Fortune in East Lothian, a historic military airfield 18 miles east of Edinburgh. On a Saturday in late July each year the museum is home to Scotland's National Airshow. The pictures on this page were taken at the 2009-2014 airshows and reflect highly successful events that drew large crowds from across Scotland and beyond. With 13,500 visitors, the 2014 airshow was easily the most successful until then. 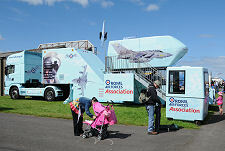 Visitors to the airshow are able to enjoy a wide variety of attractions both in the air and on the ground. These include the full range of facilities of the museum itself, including access to all its display hangars and other exhibitions, plus the chance to view the interiors of some of the larger aircraft it keeps outdoors on the museum site. There is also, of course, the museum's Concorde Experience. Meanwhile there is an impressive collection of other ground-based attractions on offer. These range from a funfair to military vehicles, and include static light aircraft and helicopters flown in to East Fortune for the event. Elsewhere you find trade stands and food and drink outlets, together with stands seeking recruits for the Air Training Corps or the RAF. 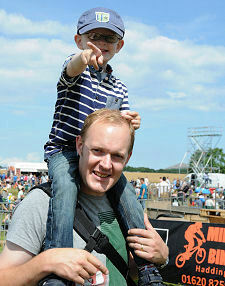 There is also a rolling series of events taking place in a number of venues across the site. There are several factors that combine to make the airshow at East Fortune rather different from other airshows you might have been to. The most obvious has already been mentioned: it is hosted by an aviation museum rather than by an active airfield or airport. The second is the nature of the museum site, which offers plenty of space and allows visitors wishing to view the air display to do so from just about any exterior part of the site. 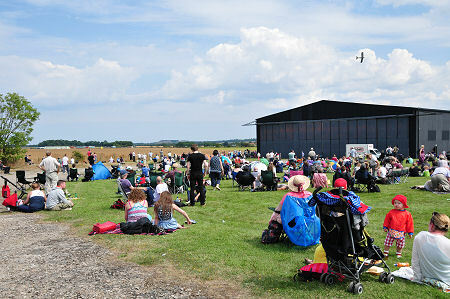 The large grassy areas mean that, on a nice day at least, you can choose to join the crowds near the fence on the side of the site nearest the flight line, or instead pick a less busy spot for a picnic or for your folding chairs and still see the flying display. East Fortune is a disused airfield. 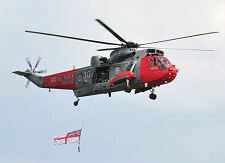 This means that there is no prospect of large aircraft flying in to form part of a static display. Light aircraft and helicopters can do so, however, and alongside the museum's own extensive aircraft collections, truck mounted aircraft simulators and a range of other aviation related attractions this means that you have plenty to look at. 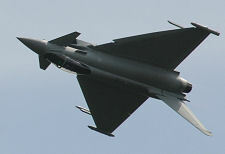 Aircraft in the flying display, apart from helicopters, either fly in from a distance to give their performance or are based at Edinburgh Airport or the nearby airfield at Archerfield. At East Fortune the displaying aircraft do so along the line of the old north-south runway, which is to the east of where the spectators are gathered on the museum site. With a flying display that extended for a number of hours during the afternoon, this means that on a bright day the sun is behind the spectators and lighting up the performing aircraft, which gives ideal conditions for watching and photographing the air display. 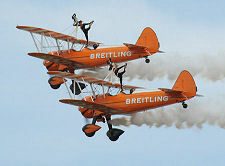 The flying displays are varied and entertaining, mixing skill and spectacle with daring flying and beautiful aeroplanes. Everyone's tastes are different, but the air displays always offer a highlight. In 2014 this was without doubt the Royal Air Force Aerobatic Team, the Red Arrows, performing during their 50th display season. The ground team and Red 10, the commentator, arrived by helicopter first, and then the nine red Hawks flew in from behind the crowd, trailing their trademark red, white and blue smoke. 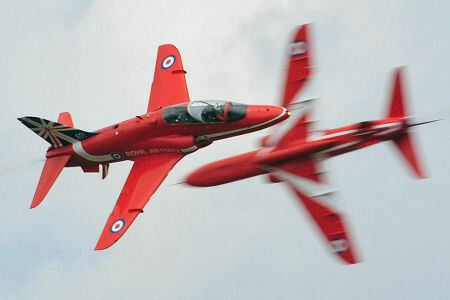 The Red Arrows first flew as a team in May 1965. We've been watching them regularly since seeing their nine Folland Gnat aircraft make the entire staff of the control tower duck at a now long disused airbase in north Lincolnshire in the early 1970s as they flew in very, very low and very fast from behind the line of hangars. 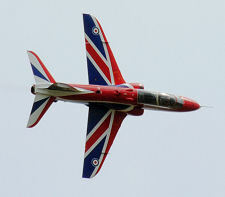 They swapped their Folland Gnats for British Aerospace Hawk aircraft in 1979 and have flown the Hawk ever since. The Red Arrows' 2014 display was the best we have seen from them, with greater variety and more interesting combinations and manoeuvres than ever before. And it was good that the poor weather that had looked like it was coming in from the west withdrew in time to allow the latter part of their display to take place in sunshine. Other star turns taking part in the 2014 flying programme included the Lancaster bomber of the RAF Battle of Britain Memorial Flight, accompanied by a Spitfire and a Hurricane, while the flying display was brought to an end by an impressive, and impressively noisy, performance by a Eurofighter Typhoon. Meanwhile, the rather more sedate, and perhaps more daring, exploits of the Breitling Wingwalkers and their two Stearman Biplanes, were also extremely impressive. Add in what will very probably be the last display given at the airshow by a Sea King rescue helicopter; a fine appearance by what is arguably the ultimate piston engined fighter ever made, the Sea Fury; the Bell UH-1H Huey Vietnam-era helicopter; an autogyro; and much more, and there really was something to suit all tastes. Combine this with an informative and entertaining commentary, and the result was a varied and interesting flying display. The attractions on the ground at the 2014 airshow included an area given over to historical re-enactment groups, many with old military vehicles; a community craft and culture marquee; a fairground; a family activity zone marquee; a food zone, and even a bar and hog roast; plus a variety of events in the Concorde hangar ranging from the Royal Air Force Presentation Team to contemporary folk music and the chance to talk to a Concorde pilot. 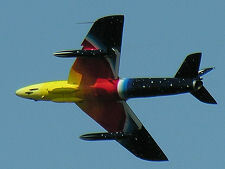 Other years' flying displays have had a variety of highlights. 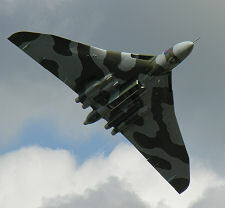 Perhaps the most memorable moment of any airshow at East Fortune came in 2009 with the arrival of Vulcan XH558. 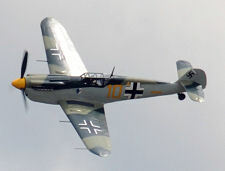 This aircraft retired from the RAF in 1993 and returned to the skies in late 2007 after years of restoration. How an aircraft designed 60 years ago can still look so futuristic is beyond us. And nothing in modern aviation can sound as magnificent as four Bristol Olympus engines on full power. The 2009 display had one other, rather more subtle, highlight. To understand its significance, you need to know a little of the background. The flag of Scotland is the Saltire, a white diagonal cross on a blue background. There are variants of the story of the origin of the Saltire, but they only differ in relation to the year and the name of the king involved. The most popular version is that in 832 a joint force of Picts and Scots under King Angus (or Óengus) of The Picts met a Northumbrian army under King Athelstan at a location in East Lothian. The night before the battle, St Andrew appeared in a dream and promised Angus the victory he had prayed for. The two armies met the following day at a place called Athelstaneford, just over two miles west of East Fortune. As they did so, a strange cloud formation appeared, forming a broad diagonal white cross against the background of bright blue sky. The Picts and Scots believed this to be an omen: and so did the Northumbrian Angles. The battle that followed was an improbable victory for the outnumbered Picts and Scots, and they subsequently adopted the Cross of St Andrew or the Saltire as their flag. 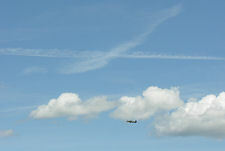 During the display of the Battle of Britain Memorial Flight, early in the 2009 flying programme, there was a rather interesting cloud formation in the sky north of East Fortune: a broad white diagonal cross set against the background of the blue sky. Dissipating condensation trails caused by high flying aircraft? Probably, but the echo of the story of the origin of the Saltire and the proximity to Athelstaneford, from which it would certainly have been visible, did bring a certain resonance to the moment.